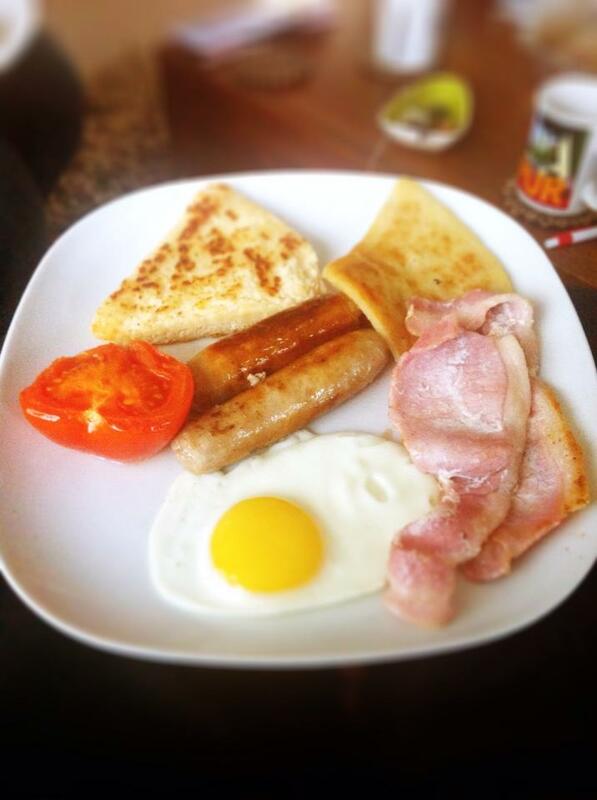 As Northern Irish as Ian Paisley (and almost as divisive amongst its citizens), the Ulster Fry is a breakfast dish eagerly sought out by tourists although traditionally, this age-old combination of hot meat, bread, eggs and animal fat set up past generations of locals for a hard day in the fields or the shipyard. The ingredients of an Ulster Fry are immutable – English staples such as baked beans or tinned tomatoes have no place on the plate, while the addition of black and white pudding is still seen by some hardliners as Southern Irish interlopers. Add fried mushrooms if you must, but the essentials are no-frills pork sausages, a runny egg, smoked back bacon, a halved tomato, and, for that all-important authentic touch, soda bread and potato farls. All fried, not grilled – if you want a healthy breakfast, eat a grapefruit. The only decision you then have to make is whether to cover the whole thing in tomato ketchup or brown sauce. Bright’s Restaurant in Belfast’s city centre does one of the best in town and, conveniently for late risers, it is available all day.